There are three types of assistance dogs- the hearing dog, the guiding dog and the service dog. All have the same purposes, to help people with disabilities with their life's daily tasks. Service dogs go beyond helping people with hearing or sight impairment. They could also be trained as seizure response dogs or mobility assistance dogs depending on the special training the owner needs. However, dogs could only accomplish such services if they have received proper service dog training. There are two forms of training service dogs: self-training and program training. Self-training, like most kinds of dog training, is facilitated by the owner themselves. While it could be harder than hiring a professional dog trainer, self training could enhance the relationship and interdependence of the owners and the dogs. A number of dogs could be trained for service works. Some people choose to train their old pets as suitable partners especially f the dog has shown some tendencies to become good in medical condition assistance. However, some people obtain their dogs from dog breeders with training the dog for service in their minds. Handlers of dogs could research on several techniques and procedures for training a dog for this particular purpose. There are a number of online resources and written literature on how to train a dog for service works. However, some people choose to hire professional organizations specializing in this field to do the work for them. 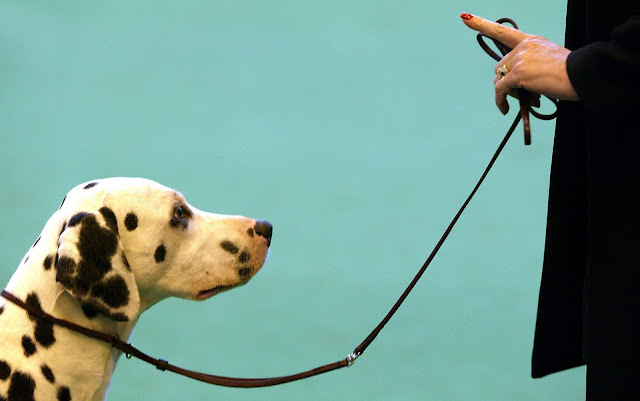 The main disadvantage is that the dog would learn on a faster pace due to highly developed techniques that these organizations have. However, training stops when the dogs were sent to their owners unless the dog owners are knowledgeable in this type of training. For owner-trained dogs however, training never stops. Nevertheless, if the owner buys a dog from a breeder with the intention of making a service dog out of it, the breeder would first give prior training on basic commands such as sit, come, stay and no. Then, the owner would fill in the newer commands that he needs such as opening the door or turning off the lights. On the other hand, program-trained dogs are especially bred and trained for service works. Normally, these dogs are trained for more than a year to get acclimatized on special situations and people to whom they are trained to respond. Training could be administered in a number of ways. In United States, training could be administered by select prison inmates. This process has been proven to be of great value since inmates could facilitate proper training while improving their socialization skills in the process. To avail of a service dog, the applicant must undergo an application and evaluation process. After this, the future owner will have to be listed on the waiting list while a dog fit for the specific services is being trained. Such dogs could be given without charge while some organizations will require the handler to pay some fees with or without financial assistance offered. Once the owner obtains his dog, he has to work with the dog for sometime to get him used to the way the new handler deals with training. This could take a few weeks up to months. The dog needs to be sent back to the training organization to update training. Service dog training does not only produce dogs that could be of good assistance to those people with disabilities. They are also good emotional supports and companions.